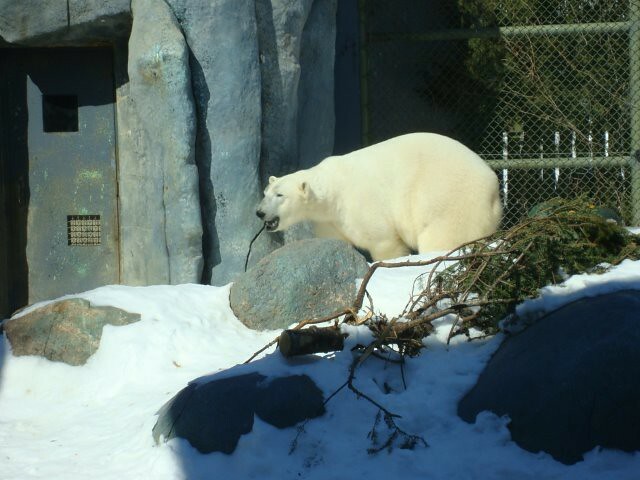 I hadn’t been to the Toronto Zoo for almost a year, so I decided to go on Saturday March 9th. Although there are many animals off display, I prefer visiting the zoo during the winter months when the crowds are much smaller. 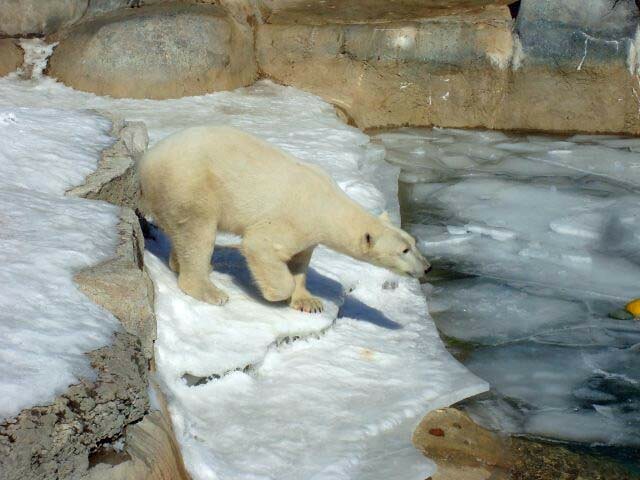 And nothing beats seeing the polar bears romping in snow and freezing water. Walking through the grounds on an early March day was exhilarating. The temperature was –8C with a clear blue sky but windy. 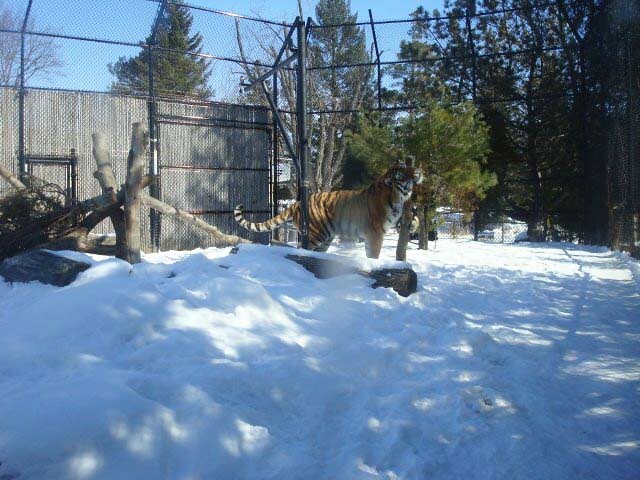 The family of Giant Pandas, Da Mao, Er Shun, Jia Panpan(M) and Jia Yueyue(F) have moved on to Calgary, Alberta so their habitat is now occupied by two Amur tigers. 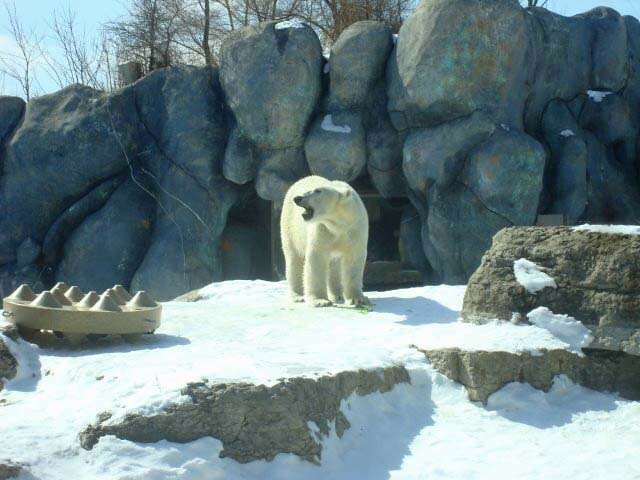 Vasili, which means Royal or Kingly, and his sister Kira, Mistress or Ruler, are 6 years old and were born in the Calgary Zoo. 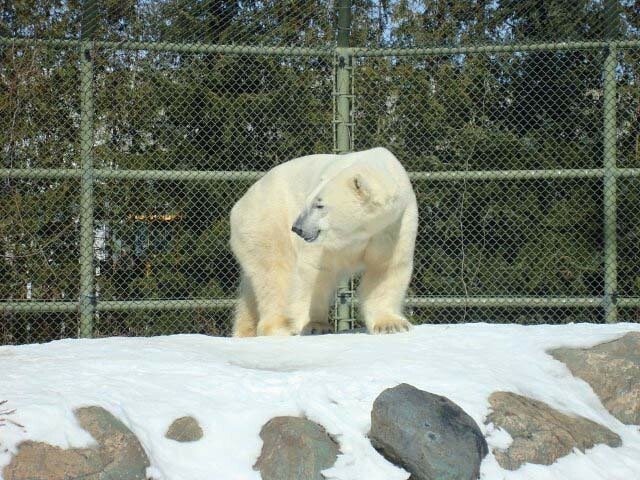 Vasili was brought in from Assiniboine Park Zoo. A keeper told me that Vasili is an intelligent tiger with a relaxed personality who plays hard and enjoys wrecking his enrichment toys. Kira’s favourite activity involves anything placed inside a tube. 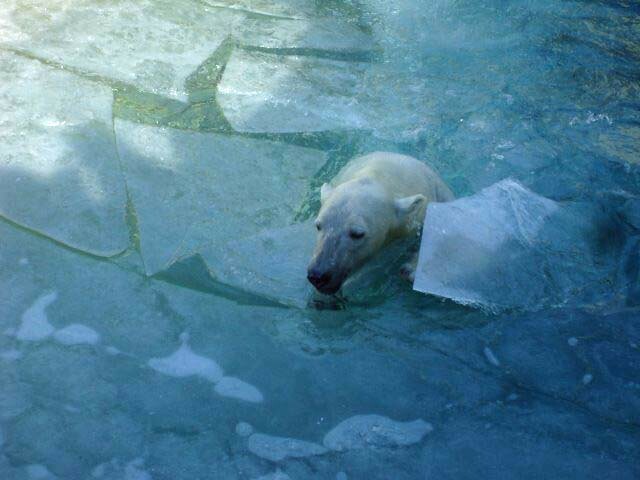 She will toss the tube around the enclosure to find what is hidden. 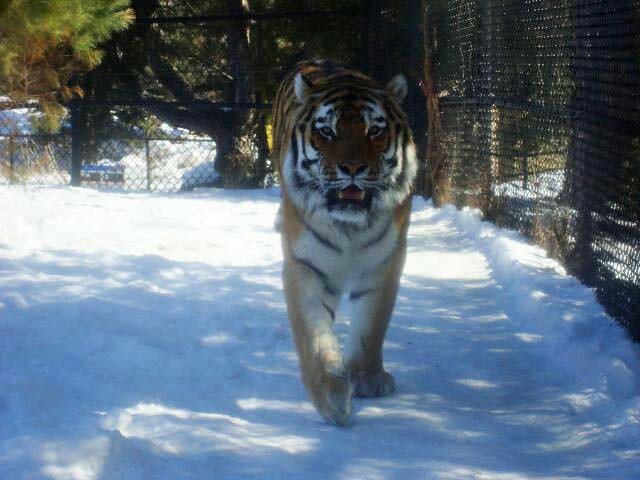 A male Amur tiger can weigh up to 320kg (700lbs.) and is the world’s largest cat. There are only about 500 of these beautiful creatures left on the planet due to man’s encroachment into the tigers’ territory. The superstition that tiger skins, bones, teeth and claws have mystical powers has been another major cause in population drop due to poaching. I got up close to the large outdoor viewing window. Vasili walked past as he circled around his exhibit. He is huge. The bright sunlight highlighted the colours of his fur. 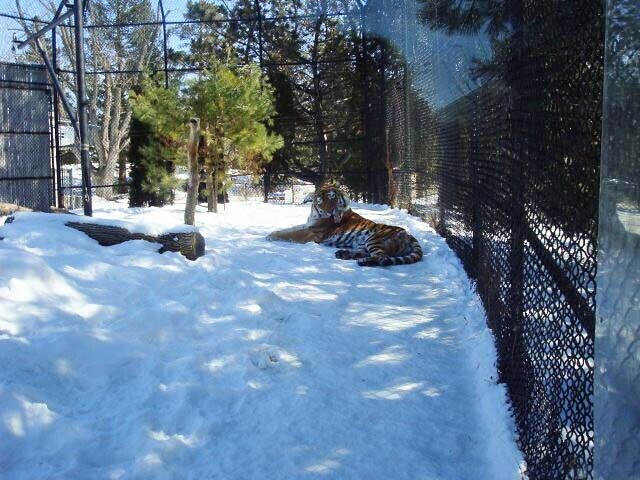 What a spectacular contrast between the orange, white and black as he rolled around in the snow. He stopped to chew away at the discarded Christmas tree before eventually heading inside for a break. 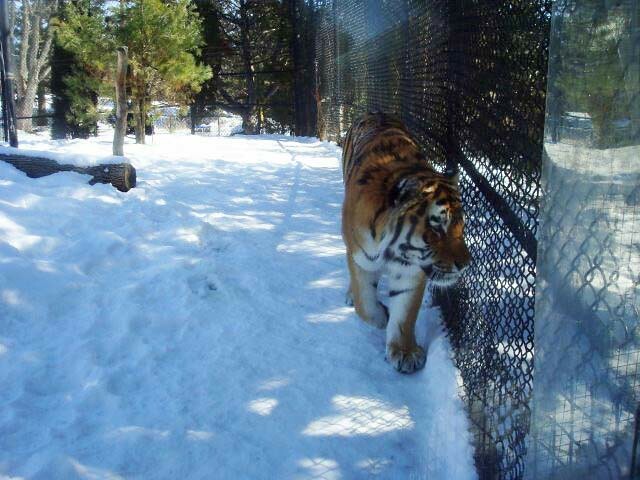 In Da Mao’s old outdoor exhibit, Kira was strolling around in the deep snow. Occasionally she would stop and watch visitors through the trees. Soon she sprawled out above the cave and surveyed her surroundings. The Tundra Trek was next on my tour. 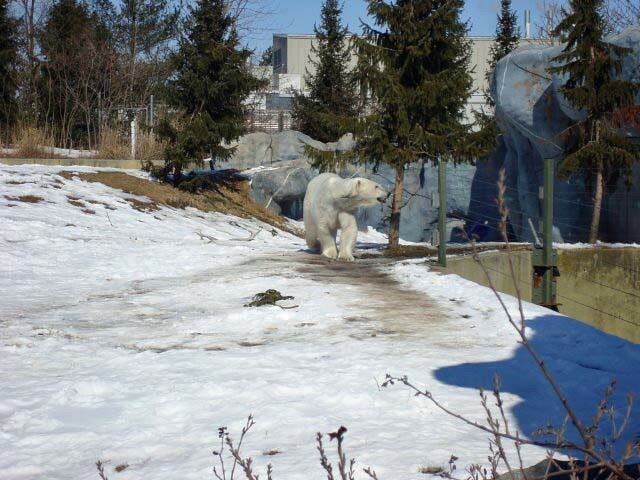 There are 5 polar bears at the Toronto Zoo. 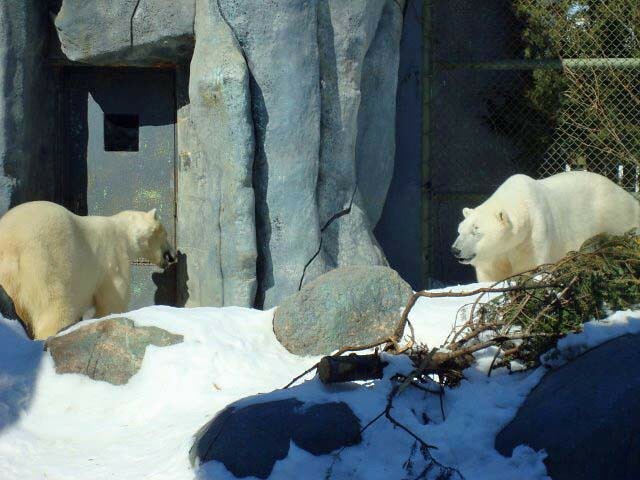 When I arrived I spotted Aurora and sister Nikita in the larger exhibit behind the pool area. 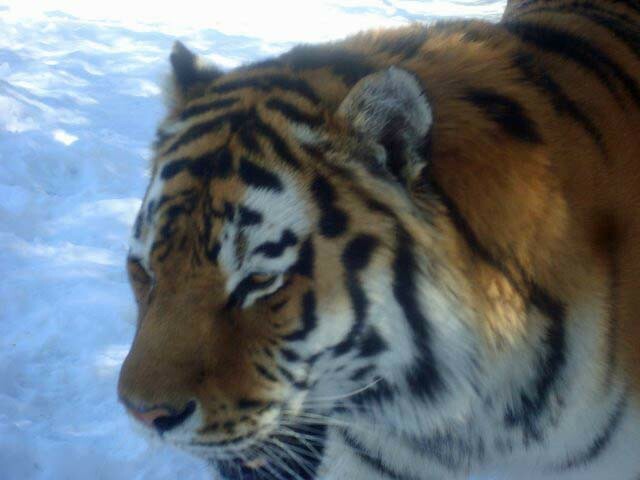 Nikita was pacing while Aurora snoozed on the snow covered hill. They are 18 years old now. Brothers Hudson and Humphrey shared the maternity yard. The main pool area was empty. Juno was not out. Eight year old Hudson has grown into a giant bear like his dad Inukshuk. He was sitting by the fence, leaning against a large green barrel while watching a group of VIP visitors. His 6 year old brother Humphrey is not petite, but he is smaller than Hudson. He was banging against the bear house doors. First one, then another. Sometimes he would walk around the yard to see what Hudson was doing. I saw a keeper in the pool area. She was hiding meatballs, and when she was finished planting treats she returned to the bear house. Juno soon entered. It didn’t take her long to sniff out all the goodies. At 3 1/2 years old she is still a small bear, so she’s always alone. All the bears are related so males are segregated from females. It was noon, which in bear time means lunch. 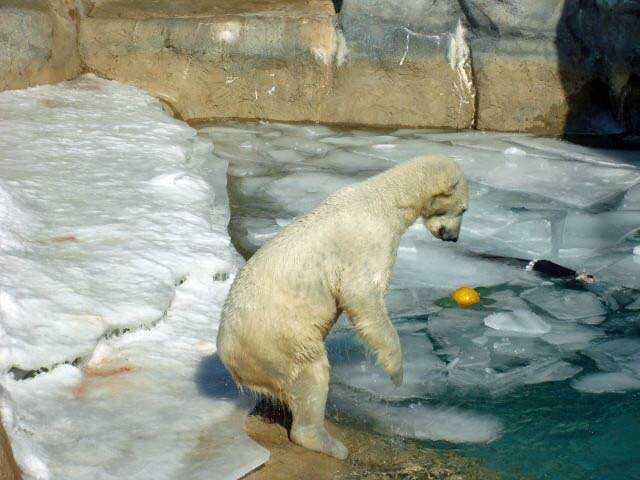 The keeper tossed some fish to Juno. Some landed on the rocks while others had to be searched out in the icy water. 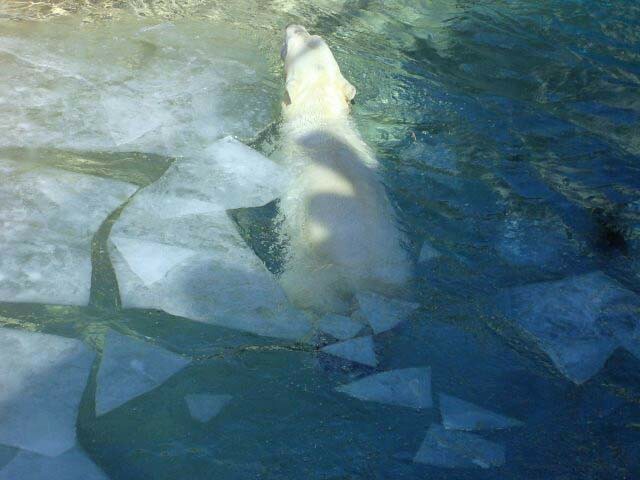 It was great to see icebreaker Juno diving under the sheet ice cover and swimming around the broken floes. After double checking to make sure she got all the hidden meaty treats she retired to the bear house. The keeper had mentioned that all the bears are rotated through the three exhibits throughout the day. The brothers where also inside the house, so I figured the bears were going to get a change of scenery in different exhibit areas. The sisters were lounging in the snow and the lazy afternoon seemed to fly by. I left the bears and headed for the African Savanna. 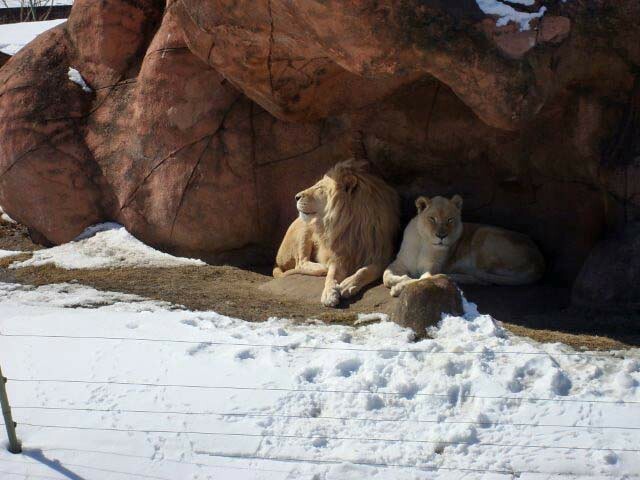 Two of the white lions, Fintan and Makali, were sleeping on the heated pad under the rock cliff. I couldn’t see Lemon anywhere. My camera battery suddenly quit on me and the sky had started to turn grey so I decided that it was time to go home. Along the way to the parking lot I made a few stops in the African Rainforest Pavilion, the Indo-Malaya Pavilion and the Malayan Woods Pavilion. 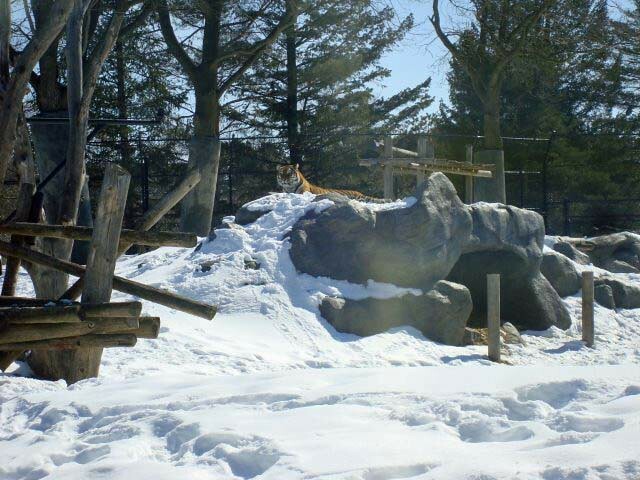 I also visited the cheetahs, who were huddled on the snowy ground at the far end of their exhibit. My last stop was to see the Sumatran tigers. Each was in their own exhibit, catching a mid afternoon nap in their cave. The walk through the parking lot turned wet as a light freezing rain began to fall. It was a good time to head for home after all. 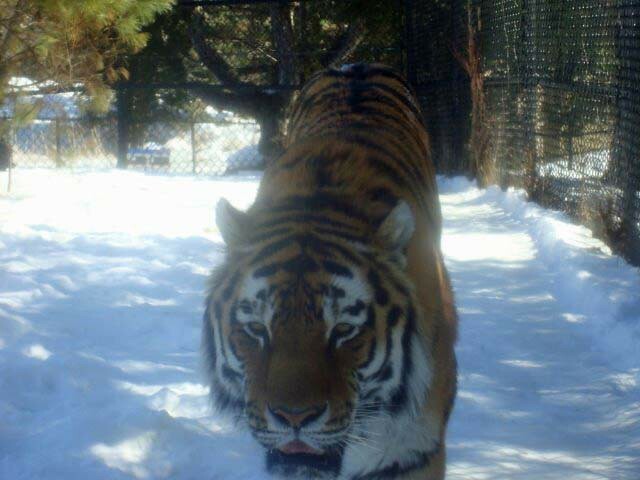 What a great surprise to publish even a report from the Toronto Zoo! 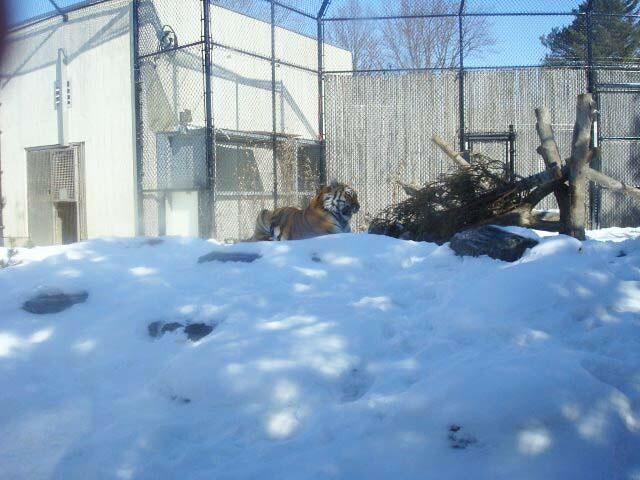 Vasili and Kira are beautiful Amur tigers and they look fantastic against the snowy background. I love the close-up showing the wonderfully coloured fur. Wow! 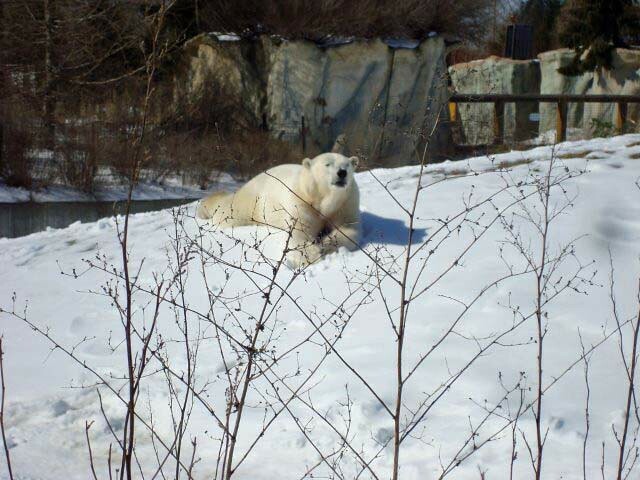 There are no less than five polar bears in the zoo for the time being. Hudson and Humphrey are back in their home again. 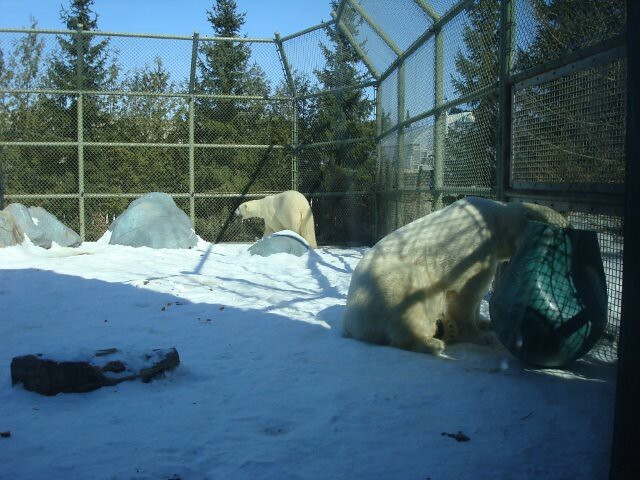 Aurora and Nikita seem to be taking things very calmly and love to relax in the sunshine. 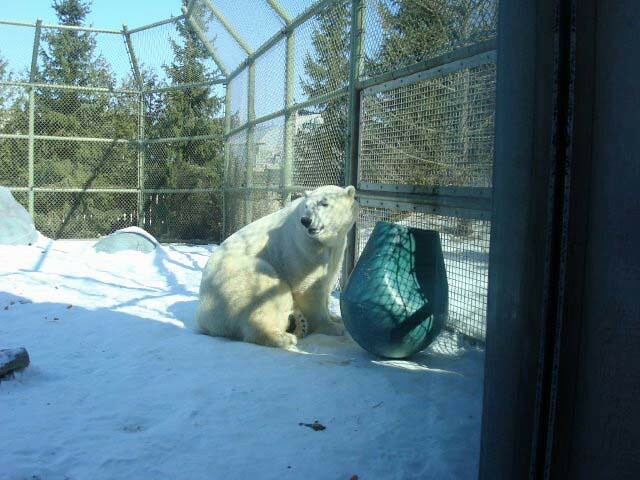 Juno acts like a powerful ice breaker looking for the food the keepers have thrown to her. All the polar bears have fantastic white and fluffy furs. Maybe the snow does the trick …. Fintan and Makali seem to be enjoying each other’s company. They look very beautiful, too! Thank you so much for the very entertaining and informative report! You have really given us a treat here with some fantastic big predators. Your photos and descriptions bring them alive. Vasili and Kira are perhaps even rarer than the Giant Pandas. 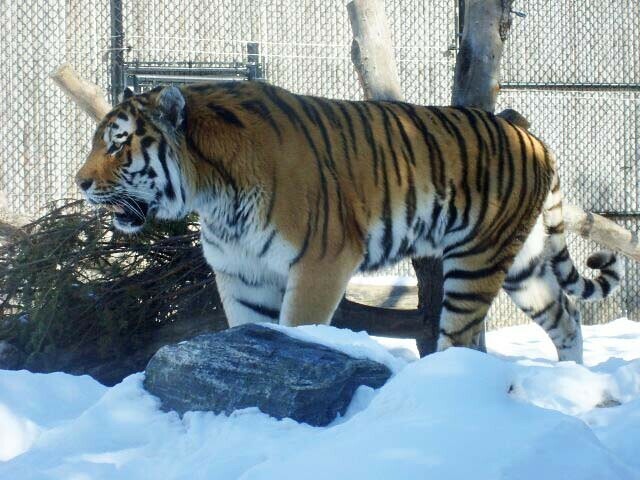 They are certainly a wonderful addition to Toronto Zoo. I like the fact that they have definite personalities. 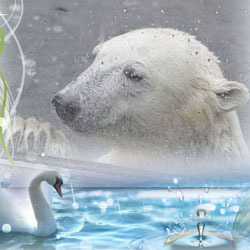 As Canada’s most famous symbol it is good that there are many Polar Bears at home in Toronto. The elderly ladies and the two young males are very impressive bears. Juno is special to me as my late father landed in Normandy some weeks after the famous landings in a special Engineer tank. He was also at the Rhine Crossing. Juno seems a very special lady. 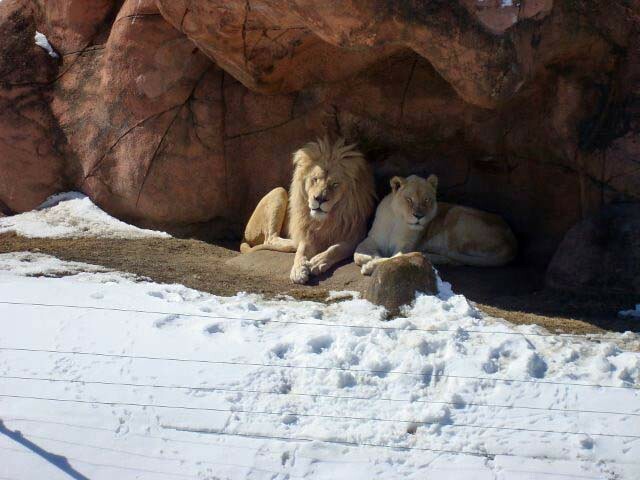 I am not surprised that the white lions were sleeping it out. 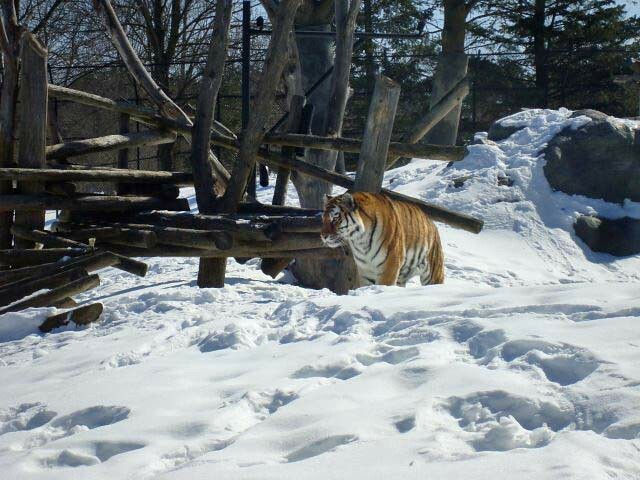 I think Amur tigers feel very comfortable in the zoo Toronto. They look very impressive. Hudson is a huge bear now. The time runs very fast. I hope Juno would not stay a long time alone. 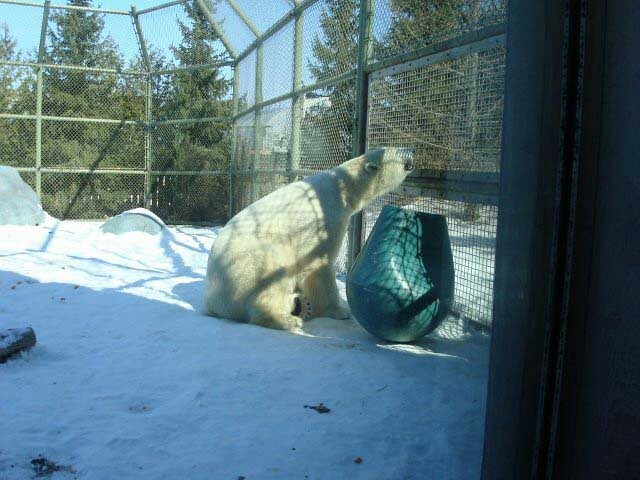 Thank you for your winterly impressions of the Toronto Zoo! 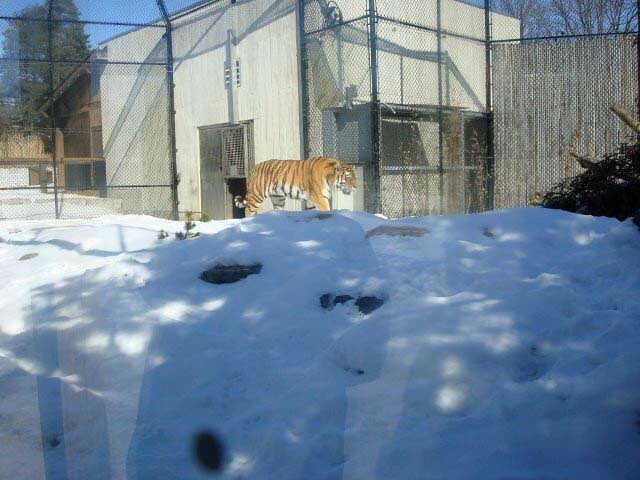 The large predators, if tigers, polar bears or lions look great in the snow and seem to do fine. 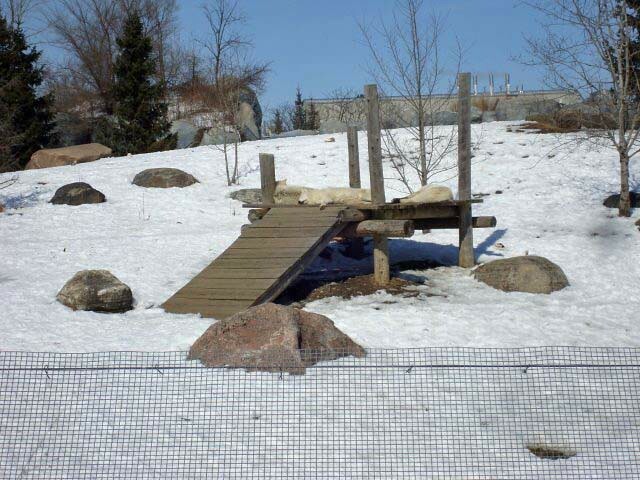 Hopefully they will welcome spring and enjoy the warmer temperatures too. I wish all of them all the best! Danke für die tollen Bilder aus Toronto, der Tiger ist beeindruckend. 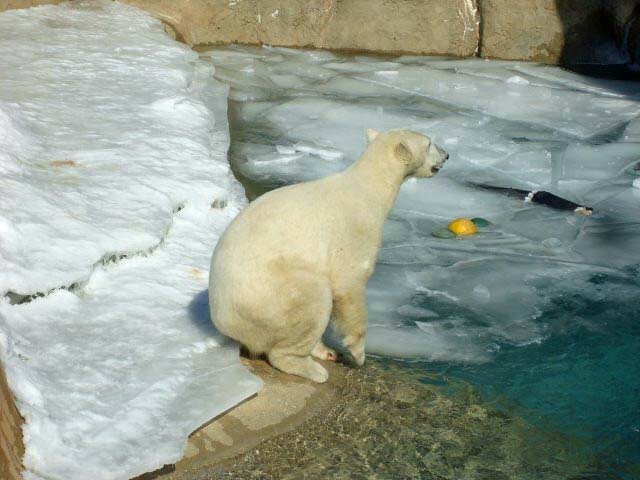 So viele Eisbären ist ungewöhnlich, sie haben ein schönes Gehege. Log in | 55 queries. 1.800 seconds.